I wont talk about Choices before talking about Free will. I do not believe in Free Will basically because since the beginning of your life, you didn't come with the capabilities to make choices. You do not have the power (knowledge) to make choices simply because you are a baby with such a naive and fragile consciousness or even none. Since early days, choices are driven for the people around you with more power on you, such as your parents. They own you in some indescribable lovely way until you are an independent individual or rational agent. No matter the age. At that point, I think humans start making limited choices, limited decisions but with limited power or without power at all. But anyhow, they still make them. 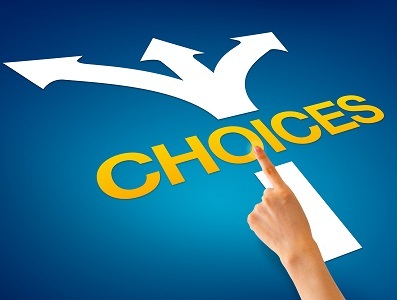 To me, choices and decision making are basically the ability to understand and master the situation completely in order to be able to pick/select what might be correct for that moment for your own well being. Thats simple. Apply for a cultural World Wide exchange experience for a family seeking childcare.